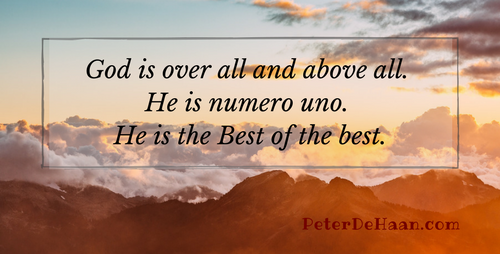 Quite simply, God is over all and above all. He is numero uno. He is the Best of the best.